JUNEAU — Gov. Mike Dunleavy warned Alaskans on Wednesday that his proposed budget cuts will affect every Alaskan, and an initial look at details offered by the Office of Management and Budget reveals the truth of that statement. Under the governor’s proposal to cut $1.8 billion in state spending (not counting a $900 million increase in spending on the Permanent Fund dividend), seniors would lose $24 million in longevity payments. Pioneer Home residents would pay more. Coastal residents would find it more difficult to get around. Farmers would have less marketing and inspection support from the state. By dollar amount, the Department of Health and Social Services received the largest cut in the governor’s proposal from $3.25 billion to $2.47 billion. Medicaid spending would drop from $2.27 billion to $1.55 billion. The governor proposes eliminating the $20 million-per-year senior benefits program and $17 million per year in tribal assistance programs. Adult public assistance would be cut by $14.7 million. The budget for the Alaska Psychiatric Institute would be reduced by $3 million, and a privatization effort is already underway. State support for the Pioneer Homes is reduced, and rates for residents will go up to compensate. A subsidy program may offset part of that cost for eligible residents. The Department of Education and Early Development would see the second-largest dollar-amount decline. Funding would fall by $320 million, from $1.66 billion to $1.34 billion. The biggest cut would come in the foundation formula that pays school districts for each student. Funding to the formula drops from $1.2 billion to $942 million in the governor’s plan. Funding for the Alaska State Council on the Arts is eliminated, as is a program that allows Alaskans to attend out-of-state medical schools at in-state tuition rates. Funding for pre-kindergarten programs drops from $8 million to zero, and funding for Head Start grants is also eliminated. Funding for other programs, including Mt. Edgecumbe High School, and state support for museums and libraries is reduced. The governor’s budget proposal preserves most funding for hard-surface roads. 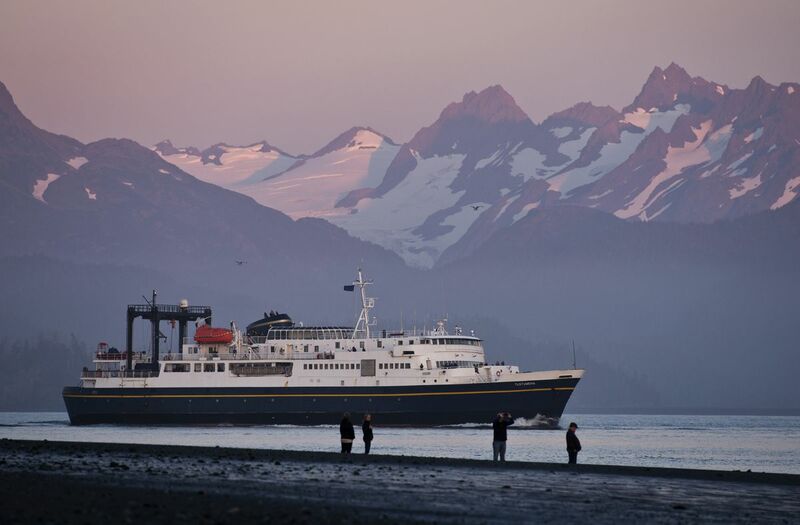 The Alaska Marine Highway, however, would see its budget fall from $140 million to $44 million, and an effort to examine privatization of what remains is underway. The ferry system’s budget for fuel would be cut from $20.6 million to $4 million. Long routes, such as the one from Kodiak to Unalaska, and from Washington state to Alaska, would be eliminated entirely. Some state-owned rural airports are also being considered for closure. Funding for the Department of Public Safety is up by more than $6 million in the governor’s proposal (to $204 million), but that increase is less than what was proposed by former Gov. Bill Walker. Dunleavy’s budget cancels a proposed raise for Alaska State Troopers and cuts $3 million in funding for the Village Public Safety Officer program. Funding for the Civil Air Patrol is eliminated entirely. 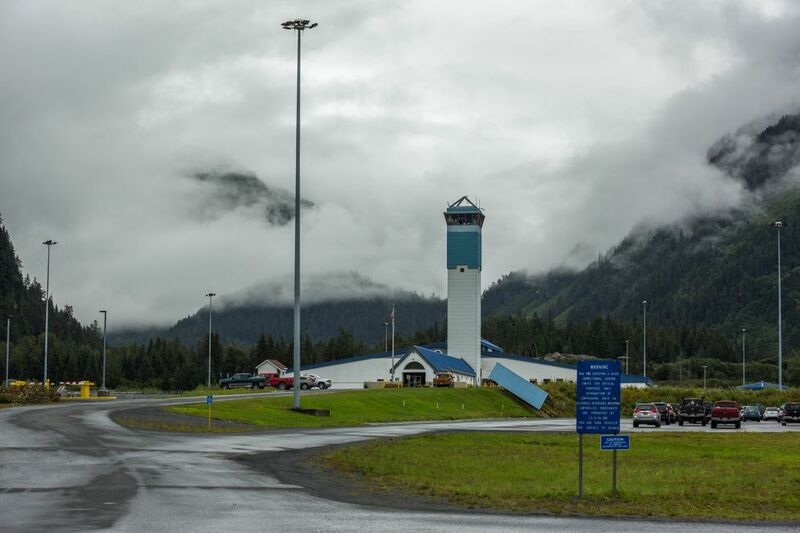 The budget for the Alaska Department of Corrections is $314 million, about what it was in 2018. Dunleavy is proposing to reverse increases approved by the Legislature last year and proposed by Walker. The governor’s proposal to repeal the criminal justice reform effort known as Senate Bill 91 is expected to increase the state’s prison population if the move is accepted by the Legislature. According to OMB documents, the state would partially offset that increase by shipping 500 inmates to prisons outside the state. “DOC estimates that can (it) contract with an out-of-state facility with a bed rate at $95.00 per prisoner, per day, with an anticipated transfer of 500 prisoners,” OMB documents state. OMB estimates that would save the state $12.8 million per year, but the department’s budget includes another $18 million “unallocated” reduction with no indication of what might be cut to reduce spending. In a consolidation move, Dunleavy has ordered that various state investigative agencies be put within the Department of Law. The budget for the Alaska court system would rise by $3.5 million, to $112.6 million, under Dunleavy’s plan. The governor has said he wants to reopen courthouses on Friday afternoons. They were closed under a cost-cutting move by Walker. The budget for the Department of Natural Resources is down $4 million to $157 million, with the governor’s proposal almost entirely eliminating programs intended to aid agriculture. A loan program for farmers would end, as would agriculture marketing efforts and veterinary inspections. Two-thirds of the division of Agriculture would be laid off. State support for the University of Alaska would fall by $134 million (41 percent) under the governor’s plan, from $327 million to $193 million. The university would have the ability to make up that shortfall by raising tuition or finding more grants, but in a presentation Wednesday, university officials said they would have to double tuition to make ends meet under that scenario. A smaller department by budget, the Department of Environmental Conservation would see its budget fall from $81.3 million to $76.6 million. The governor is proposing the elimination of the Ocean Ranger program, which monitors cruise ships for pollution with fees paid by the ships, and ending inspections of the state’s sole dairy farm. The Legislature’s budget rises from $66 million to $67 million in the governor’s budget. The budget for the Office of the Governor is higher by $2 million than the figure requested by former Gov. Walker but is almost the same as what was authorized by the Legislature this year: $29 million.